This race is part of Cambria’s Pinedorado Days celebration and runs along a course that follows the Pinedorado parade route. The race, which takes place just before the parade, starts and finishes at Coast Union High School, 2950 Santa Rosa Creek Road in Cambria. The entry fee is $15 without a shirt, $20 with one, and medals will be awarded in ten year age groups based on participation. It is a fundraiser for Coast Union’s American Field Service program and is directed by Sharon Bisso (995-1432) and Marcia Hilger (927-4965). These races take place at the La Purisima Mission State Park, 2295 Purisima Road in Lompoc. Both courses are off road and hilly with some sand on the parts that go through the Mission area. The entry fee includes refreshments, entry to the park, finishers medals, awards three deep in each division, and jerseys for the half marathon participants. The entry deadline to be sure of getting the shirt is August 10. Register via www.active.com or get an entry form at members.impulse.net/~lvdc. 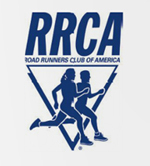 The races are conducted by the Lompoc Valley Distance Club, Post Office Box 694, Lompoc, 93438-0694. This race will take place on the sand just north of the pier in Pismo Beach and is a fundraiser for the eye disease LCA. It is named in honor of Anthony, a 6th grade student at Grover Heights Elementary who suffers from this disease which causes blindness. Awards are three deep in ten-year age categories and finisher’s medala for the first 150. Register online at ultrasignup.com or mail your registration form to Post Office Box 2603, Pismo Beach, 93448. Entry fees are $20 by September 8, $25 after that, $15 for students ages 13-18, and $10 for kids 12 & under (includes a T-shirt while supplies last). There will also be a raffle with tickets available at $1 each. The event is directed by Karrie Ingram, Post Office Box 2603, Pismo Beach, CA 93448-2603, (661) 331-8714, info@anthonysseeingisbelieivng.com, web site = http://anthonysseeingisbelieving.com. This is the last one in the Running Warehouse series of pub runs. There is no registration fee and the runs will be 3-4 miles (untimed). Each run will have a shoe sponsor offering the opportunity to test out their latest footwear and the run will be followed by a raffle and refreshments. Tonight’s run is hosted by New Balance and takes place at the Madonna Inn in San Luis Obispo. For more information, e-mail retail@runningwarehouse.com. This race is part of the Old Days Celebration and is sponsored by Cal Swoosh Sports and the Los Alamos Men’s Club. The start, finish, and registration (from 8:00-9:15 AM) will be on Bell Street at Ferrini Park and the race will be run over a scenic loop course in town and through Los Alamos Park, finishing prior to the start of the parade. The race entry fee is $25 which includes a race t-shirt while supplies last. There will be awards to the top three in seven age divisions and a trophy to the first overall male and female finishers. This is a fundraiser for Cal Swoosh, which helps underprivileged youth play sports. Directed by Coy Kendrick, Cal Swoosh, P.O. Box 1521, Atascadero, 93423, calswooshrunning@gmail.com. This run will be held at Nipomo Regional Park, 555 Pomeroy Street in Nipomo (at Tefft & Pomeroy). The four mile course is out and back and there is a two mile walk over the same route with an earlier turnaround. There will be no awards at this non-competitive run but there will be raffle prizes with the drawing at 8:30 AM prior to the race (winners must be present) and post-race refreshments. Proceeds benefit youth programs in Nipomo. There will be plenty of activities, including music, food, and craft booths in the park after the race as part of the October Festival The run is being organized by the Nipomo Recreation Department, 239 West Tefft Street (Post Office Box 346), Nipomo, 93444, 929-5437, www.nipomorecreation.org, and registration can be done on-line through www.active.com. All funds raised from this event go to benefit local youth recreation and sports programs in the Five Cities. The half marathon starts at 7:00 AM in downtown San Luis Obispo at Higuera & Court Streets and follows country roads to Dinosaur Caves Park in Pismo Beach. The entry fee includes an event T-shirt, breakfast buffet, entertainment, and post-race shuttle service. The 5K starts at 7:30 AM and takes place at Dinosaur Caves Park and has all of the above benefits including breakfast. Proceeds go to the Cuesta College cross country and track programs. For more information, call (805) 546-3100 Ext. 2507 or go to www.citytothesea.org. Directed by Cuesta cross country and track coach Brian Locher, Cuesta College, Post Office Box 8106, San Luis Obispo, 93403-8106. This family event is a fundraiser scheduled to coincide with Cambria’s Scarecrow Festival. It will start at Shamel Park, 5455 Windsor Boulevard in Cambria (located off Highway 1 at the north end of Cambria) and then head south toward Fiscalini Ranch. The entire course is next to Cambria’s pristine coastline and it is our goal to introduce the trails and views of Fiscalini Ranch to more residents of the central coast. The run is a fundraiser for the Cambria Youth Athletic Association. If you have any questions, contact the race director at cambriascarecrowclassic@hotmail.com. Registration is through RunSignup at https://runsignup.com/Race/CA/Cambria/scarecrowclassic.